In My Time at Portia, you will form relationships with citizens and other members of the town. Improving relationships will improve your game overall, as there are perks which can be unlocked after reaching certain levels. The main ways to improve your relationships are by socialising with residents regularly, completing quests and giving gifts that the individual likes. 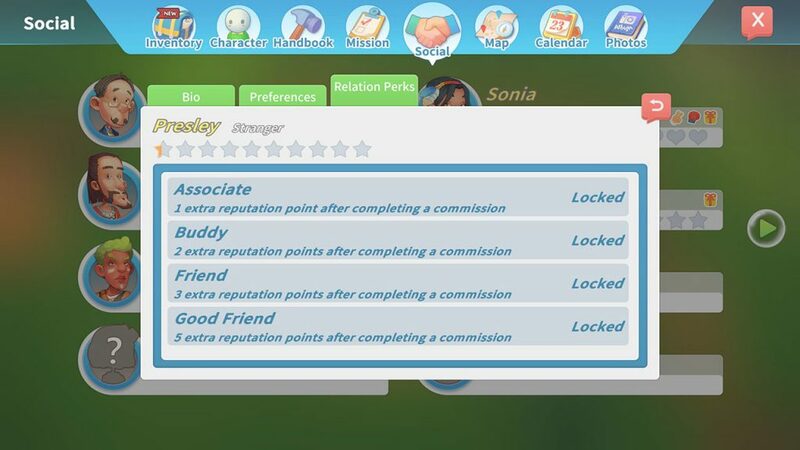 Below, we have a quick guide where you can see your current relationship status in My Time at Portia. Whilst we have many more guides available for the game here. Start by opining up your inventory. You can do this on PC by pressing I by default. Head on over to the ‘Social’ tab. 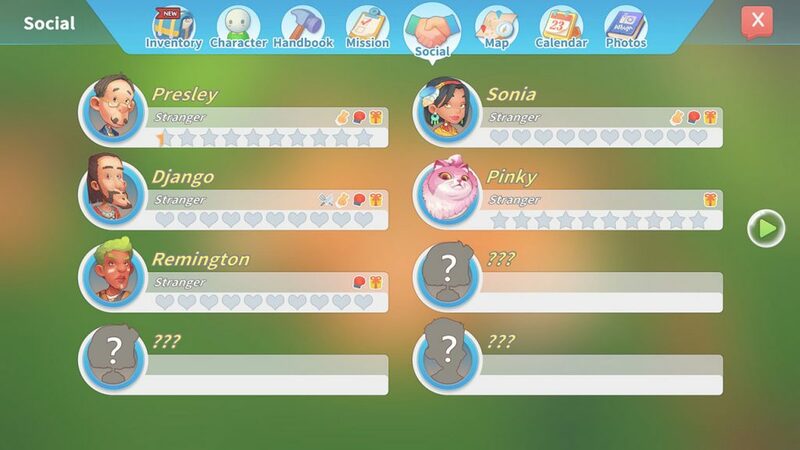 You will see a list of characters in the game who you’ve already met, as well as your relationship with them. Use the arrows on the side to navigate, and click on a character to view their bio, preferences and perks. On the image above, you can see that Presley is currently a Stranger relationship wise. Whilst his perks provide extra reputation points for completing a mission.